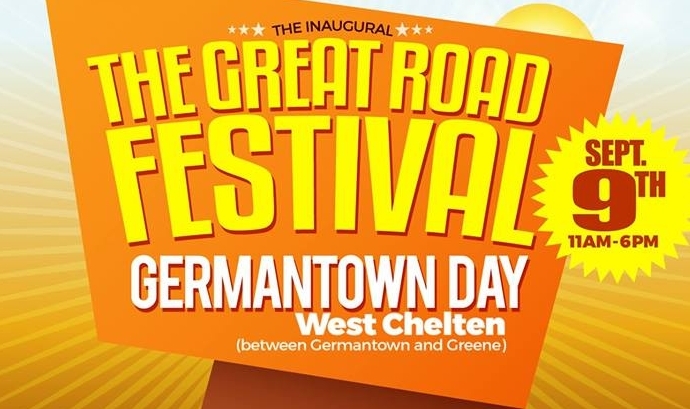 Germantown Special Services District (GSSD)is co-sponsoring the inaugural #GreatRoadFestival on the 328th anniversary of the incorporation of #Germantown (Saturday, August 12, 2017) from 11 AM – 6 PM. This year’s festival, sponsored in part by Councilwoman Cindy Basss and Rep. Stephen Kinsey, is taking place on W. Chelten Avenue between Germantown Avenue and Greene Street. Our co-sponsor for the inaugural year is Tabor Children's Services Inc. which has a rich history of serving children and families in need, and now serves as a multi-service community-based organization providing in-home familial support services, foster care, adoption, adolescent life skill programs and mentoring. Tabor’s work with #ParentPower is focused around a sincere commitment to eliminating the academic achievement gap for the most undeserved children. Both organizations work with the GSSD, as a part of the Great Road Festival, is hinged on providing access to information in a safe space at the heart of Germantown’s central business district. The Strengthening Families Village is an opportunity for the public to learn more from local, regional and not-so-local organizations. With 30+ information tables on site, representatives will be present from organizations with information about water conservation, solar energy, child and family resources and entrepreneur/career opportunities.